At Harlow Salon, we understand that not all clients are the same. That is why we take special care to select hair care products at our salon that are unique and that will meet the needs of a diverse range of individual hair types and personalities. 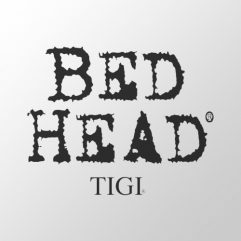 Bed Head by TIGI has an extensive collection of cleansing, conditioning, sculpting, and styling products that deliver dependable results and allow for creativity. Bed Head allows you to have fun…expressing different styles for different occasions with products that are created for performance and long lasting wear!